Ram is known for manufacturing heavy-duty pickup trucks that offer outstanding performance, styling, safety, and technology, and it hasn't fallen short with the 2018 Ram 2500. The Texas Auto Writers Association named the 2018 model the Heavy-Duty Pickup of Truck of Texas. The heavy-duty pickup truck offers five trims and 27 configurations. The trims include the Tradesman, SLT, Laramie, Power Wagon, and Longhorn. If you have looked through the Albuquerque truck guide, then you have probably seen the 2018 2500. 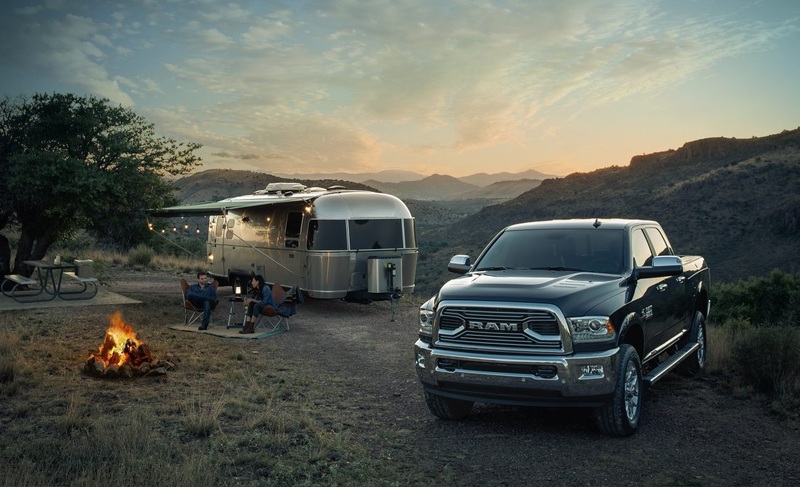 To find out additional information about the 2018 Ram 2500 in Albuquerque, visit us at Melloy Ram serving Albuquerque Santa Fe Los Lunas New Mexico, and you can read our summary of the 2018 model below. 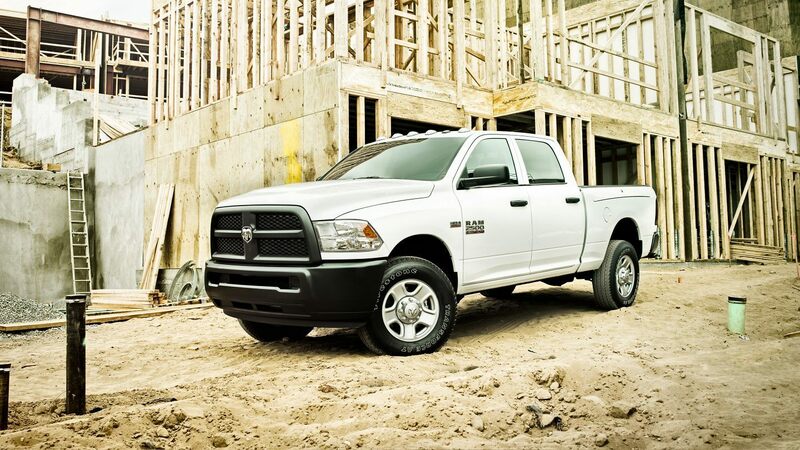 The exterior of the heavy-duty truck was engineered for exceptional durability that lets you handle any job. The truck offers box rail caps that are study and help you easily load and unload your cargo from the bed. Power exterior mirrors are also included with the model that come with integrated turn signals, driver memory, power folding, and heated defrost. The available tonneau covers help to facilitate aerodynamic movement to reduce drag, and the wheel-to-wheel side steps also help boost aerodynamic efficiency and make it easier to access the bed of the truck. You can opt for LED Bed Lighting that comes on each side of the truck to help improve visibility at night. In addition, the truck also offers an available RamBox Cargo Management System that is drainable and mounted into the side rails, and the AllSecure Central Locking System helps you keep your items in the bed of the truck secure. In addition, you have a wide range of exterior color options to choose from. A few exterior colors that are popular with the 2018 model include Granite Crystal, New Holland Blue, Flame Red, and Timberline Green. Are you looking to test drive the 2018 Ram 2500 in Albuquerque and see its mechanical features for yourself? If so, stop by our authorized Ram dealership serving Albuquerque Santa Fe Los Lunas New Mexico consumers. The cabin of the heavy-duty truck offers features that provide you with comfort, convenience, and entertainment. 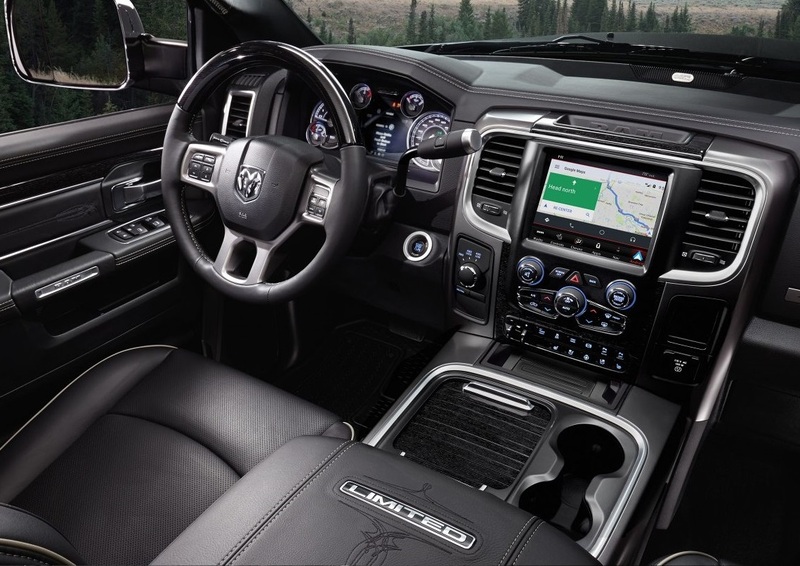 The infotainment system that comes with the truck is the available Uconnect 4C that is paired with a 8.4-inch touchscreen, which is the largest touchscreen in its class. The infotainment system includes Apple CarPlay, Android Auto, SOS Call, Vehicle Finder, and more. There is also an under-floor storage compartment that lets you securely store and transport your cargo. A full-color 7-inch instrument cluster is also included with the 2018 model that features a fuel gauge, tachometer, speedometer, and more. In addition, the cabin also features work grade vinyl seating that is durable and easy to clean. If you want to get a look at the interior of the 2018 Ram 2500 in Albuquerque, visit us at Melloy Ram. The mechanical features that come with the 2018 2500 include a three-link front suspension system and a five-link coil rear suspension system, or you can choose the available rear auto-level air suspension system as a mechanical upgrade. The five-link coil rear suspension system uses spring technology to reduce friction without losing towing capability. The three-link suspension system comes with a bigger stabilizer bar and a wider frame for a cushioned ride, and the springs that are built with this suspension provide drivers with better handling when towing heavy payloads. If you opt for the available rear auto-level air suspension system, you can choose between two ride heights for exceptional capability. There is also a Snow Chief Package that inlaces a transfer case skid plate, a limited slip axle, clearance lamps, and more. There are multiple engine options that are offered with the 2018 heavy-duty truck. The 6.7L Cummins Turbo Diesel I6 engine can reach up to 370 horsepower and 800 lb.-ft. of torque. The 6.4L HEMI V8 engine can produce 410 horsepower with 429 lb.-ft. of torque, and the 5.7 HEMI V8 engine with VVT can reach 383 horsepower with 400 lb.-ft. of torque. There are two available transmissions that are offered with the heavy-duty truck that include a six-speed manual transmission and a six-speed automatic transmission. However, the six-speed manual transmission is only offered with the 6.7L Turbo Diesel engine. The Albuquerque truck guide is a good reference to learn more about the the 2018 Ram 2500 powertrain, or you can stop by our dealership at Melloy Ram serving Albuquerque Santa Fe Los Lunas New Mexico residents. Safety features that come equipped with the 2018 model are advanced multi-stage front airbags that include side curtain airbags and side impact airbags for outstanding protection. One notable active safety feature that comes with the model is the ParkSense Rear Park Assist System. This feature uses sensors and sound waves to help you stay safe when the truck is in reverse. The tire pressure monitoring display will help ensure that your tires have the right amount of pressure for optimal stability and traction. Electronic Stability Control is also offered with the 2018 model. This safety feature will help you maintain control of the truck during extreme steering maneuvers. The 2018 Ram Albuquerque truck guide can provide you with further information about the 2018 Ram 2500, but we recommend that you stop by our showroom to see the heavy-duty pickup truck for yourself. We are confident that you will be pleased with all that the heavy-duty pickup truck has to offer. Visit us today and take your favorite trim for a test drive!